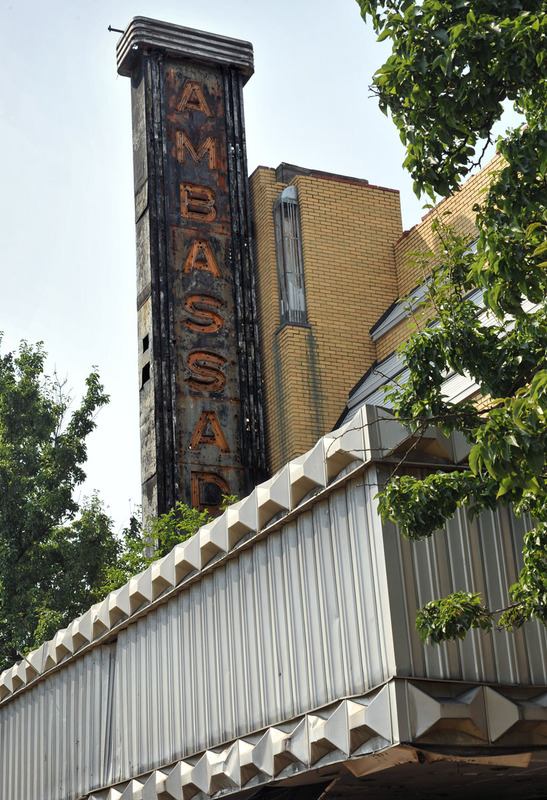 Sun photographer Amy Davis discusses a recent assignment to photograph the Ambassador Theatre after hearing a fire had broken out in the Baltimore landmark. 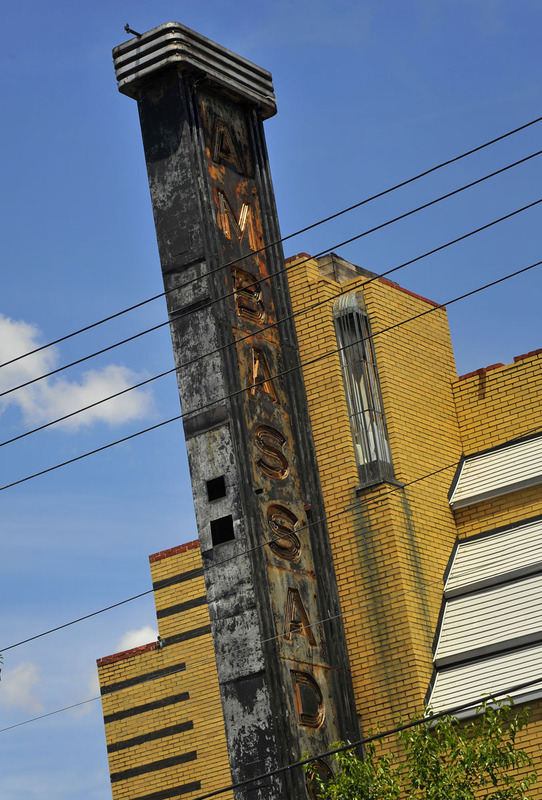 I froze in place when the Director of Photography, Bob Hamilton, handed me the assignment to photograph the aftermath of a two-alarm fire at the Ambassador. 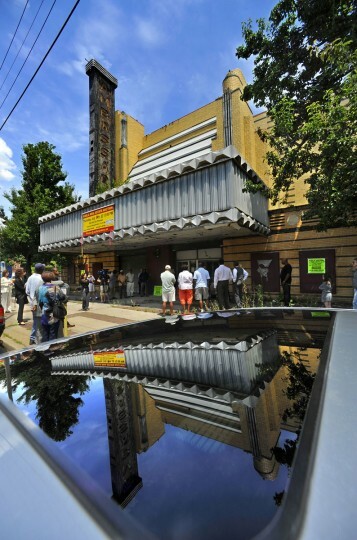 Built in 1935 by architect John Zink, the Ambassador was one of Baltimore’s classiest neighborhood theaters. 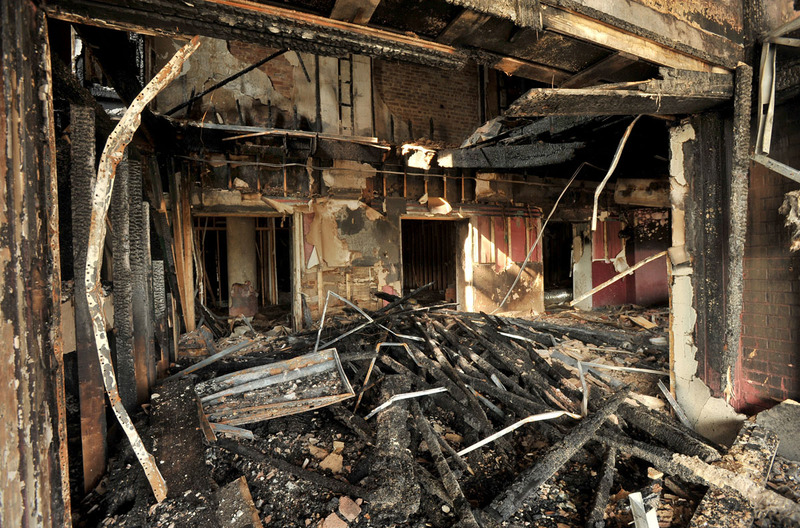 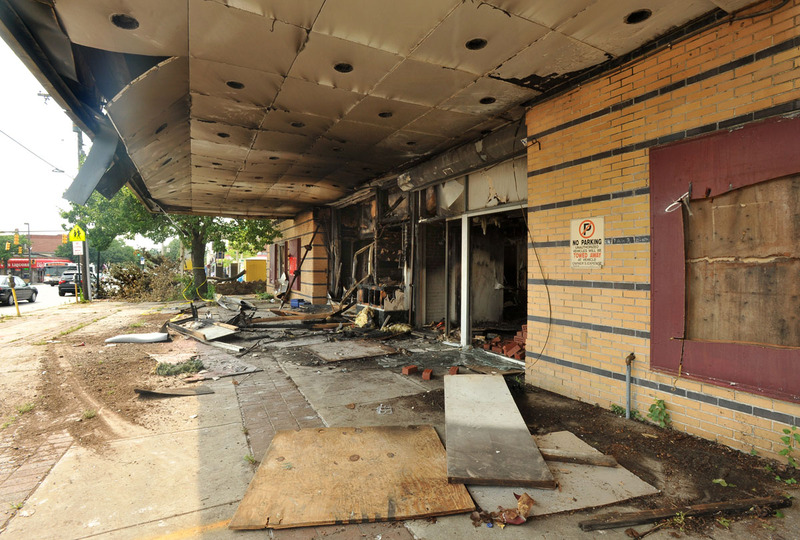 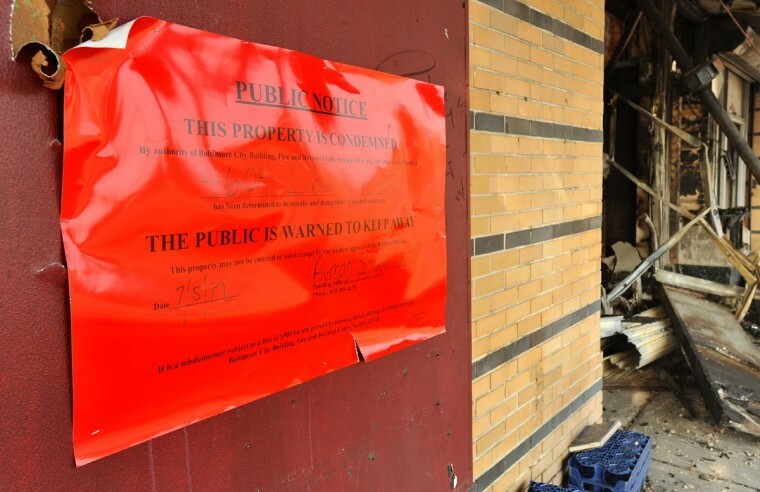 But on the morning of July 5, 2012, a blaze overtook the interior of the Ambassador, partially destroying the interior of the boarded-up movie house. 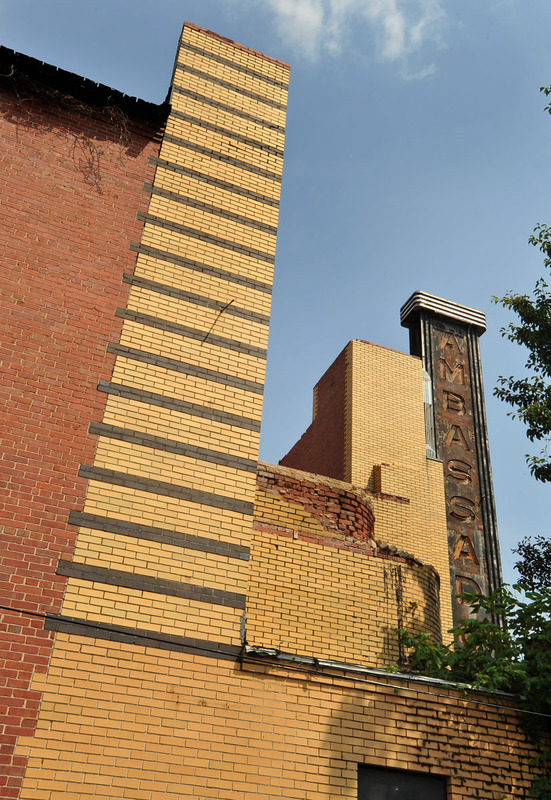 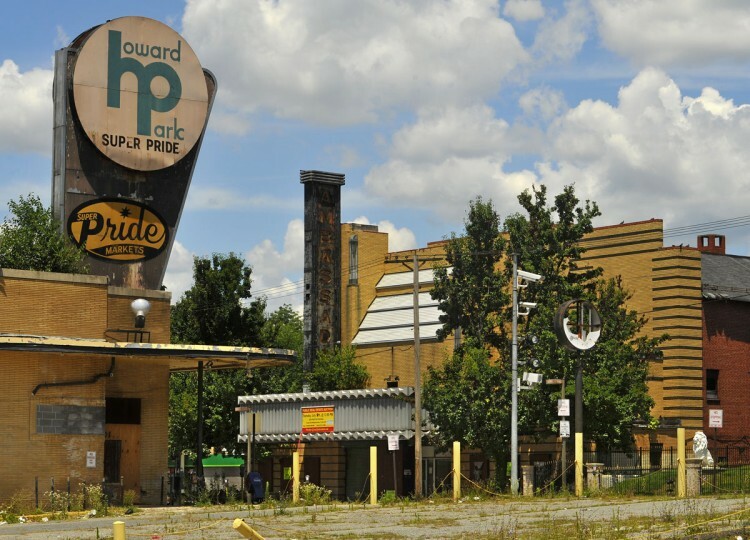 Immediately, I feared for the fate of this Art Deco jewel, which I have been photographing since 2008 for a personal book project. 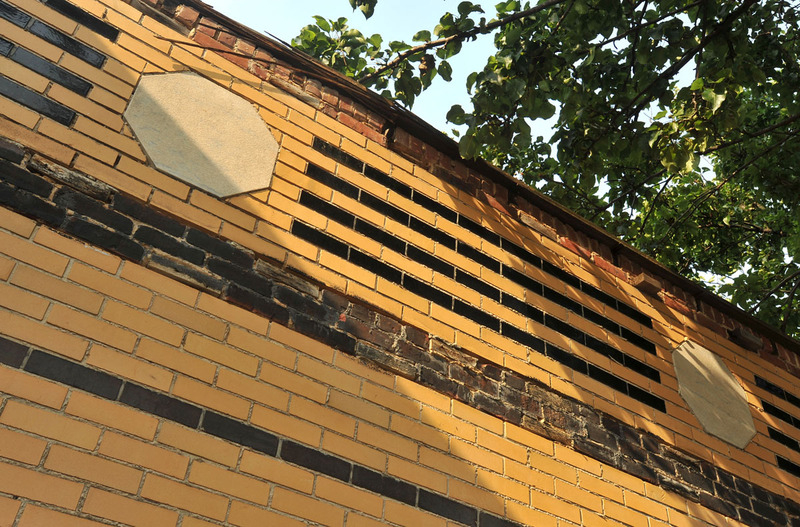 Upon arriving at the scene, I was relieved to see that the glazed blonde bricks with black banding were still there, marred only by soot on the façade to the right of the entrance. All the doors were flung open releasing the musty smell of smoke and revealing that the interior appeared to be intact. 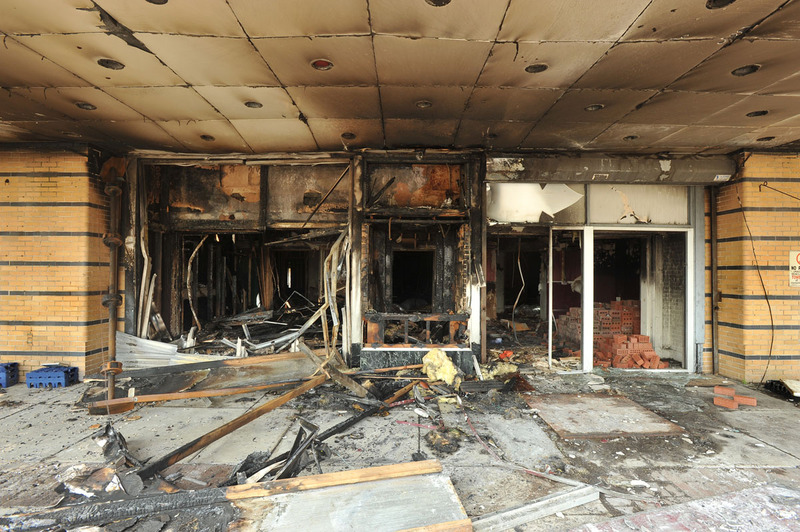 Only the front lobby area was completely charred. 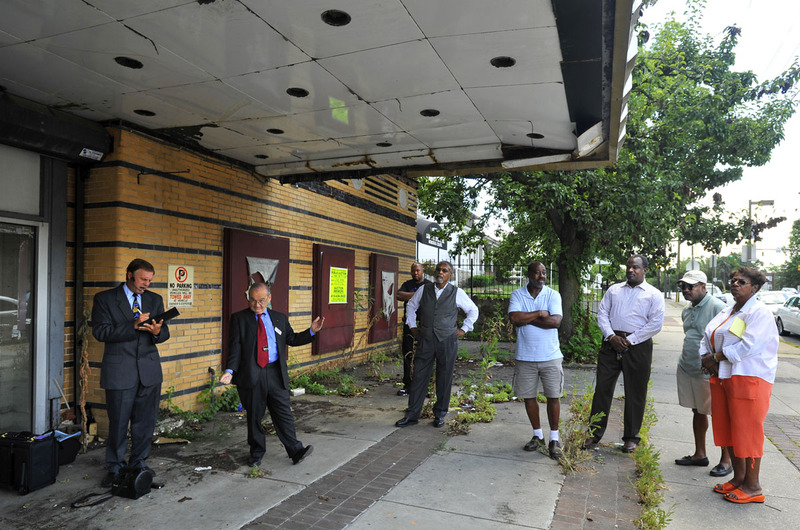 The original ticket booth, long hidden when the building was vacant and boarded up, was a blackened shell. 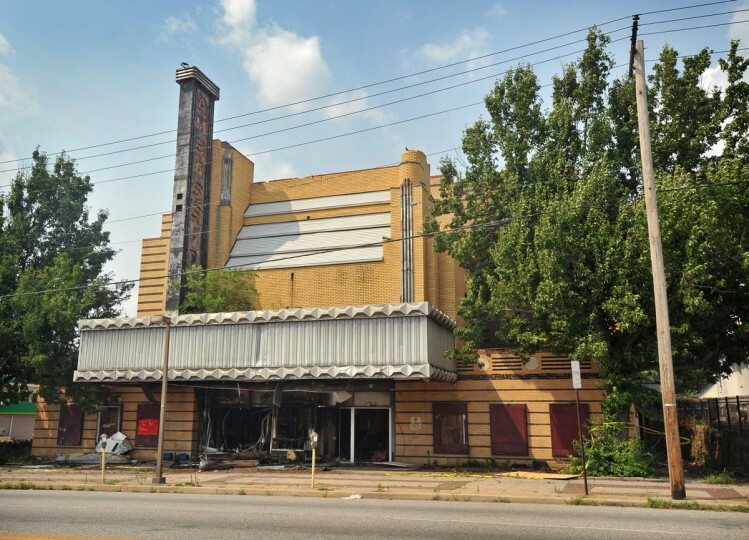 After the Ambassador closed as a theater, the seats were removed, and the glamorous interior was irrevocably altered for other uses. Currently tacked to the front of the Ambassador, a sign posted by the city announces “THIS PROPERTY IS CONDEMNED.” Sun reporter Colin Campbell wrote that the owners would like to redevelop the Ambassador and hope that the new supermarket and shopping center across the street will spur commercial interest in their property, which had no takers when an auction was held in 2009. Please email me when your book is published. I would love to buy it.